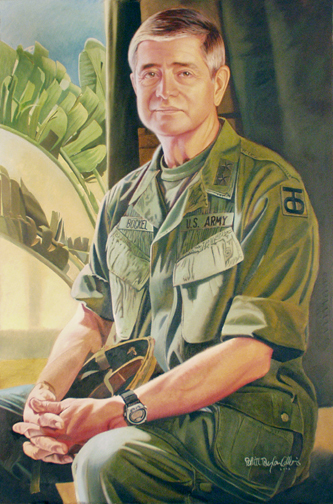 Major General Davis Bockel, Ret., was the Commanding General of the 90th RRC Headquarters in North Little Rock, AK. This Reserve Command carries on the modern legacy of the 90th Infantry Division made famous during the First and Second World Wars. See this portrait in progress.